The 12ltr Stainless Steel Pedal Bin is a stylish bin that can used in several environments. Ideal for use in schools, hospitals, dentists, or domestic use this bins offers excellent value for money. The bin has a foot operated pedal so the user needs never touch the bin and with a fully removable plastic liner, the bin never needs to be touched when emptying. 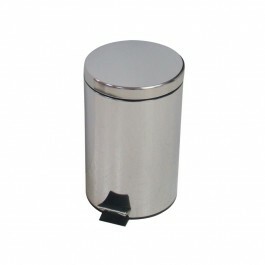 The same style bin is also available in a 3ltr, 5ltr, 20ltr and a 30ltr capacity.